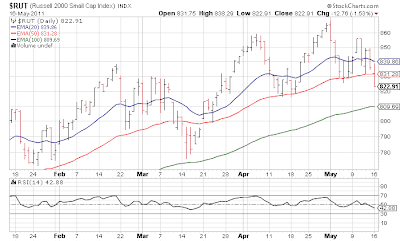 Sometimes, I focus far too much on the S&P 500; after the close yesterday the Dow was only down about 0.3% and S&P 500 0.6%. But the NASDAQ and Russell 2000 both were down in the 1.5%ish range. As we can see below, both those indexes - which are far more of the high beta or "risk on" gauges - have led the charge down, and broken support. 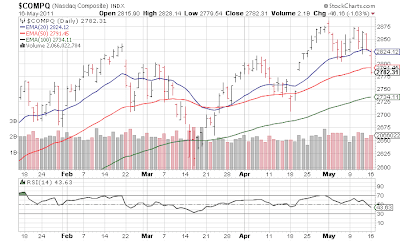 The NASDAQ has a gaping chasm to fill in fact below 2750, while the RUT has one calling below 800. We'll see if those are taken care of in the next week or two. 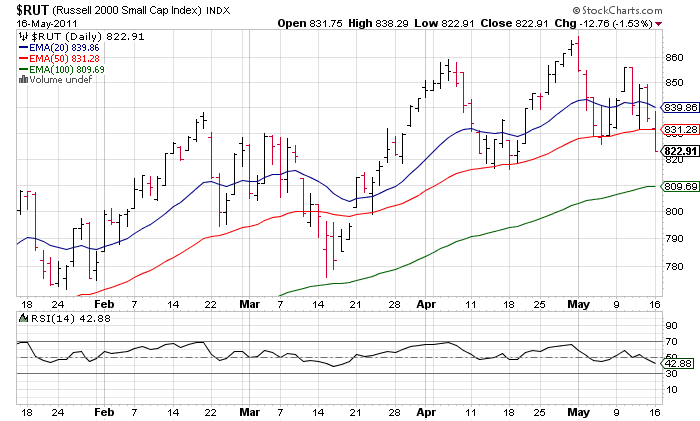 Looking at the relative strength index both are in the bottom half of their ranges, but not quite near extreme oversold.